-2007: 27 years have passed since my family decided to build this villa to connect the past of the family with the future. -Today: Our vision is to make visitors feel part of the island’s history travel in the garden odors and taste flavors that only the Cretan land can give. We want visitors to feel like the guest of the past that made a stop to relax and enjoy a bunch of grapes. 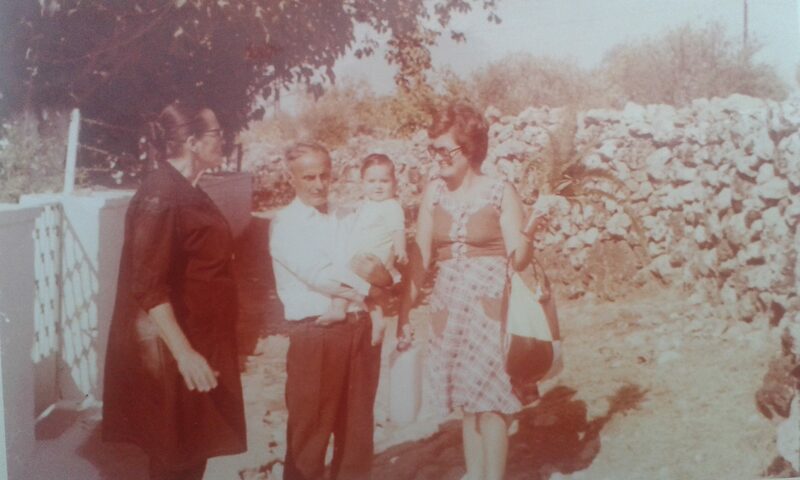 -My father Aristides, is a typical Cretan figure. Do not hesitate to cut tomatoes from the garden. It is certain that the garden will impress you and you will defintely want to talk to my brother, Manolis, to tell you his secrets. –Feel the smells of the aromatic herb garden, and taste the tea «erontas» with lemon from the lemon trees of the garden. -If you want to enjoy the Cretan cuisine, we propose you to choose among three selected dishes of the family. -After your walk, you can swim in the pool to relax. Manolis Chalkiadakis (Costis’ brother) is a professional physiotherapist and can offer you a relaxing massage. Eleonas offers natural body care products based on Elia (Olive) Yes from oil tree of the garden. Would you like to be a part of my Family?